One extremely tongue-in-cheek – we are assuming! Now Trustpilot are immigration consultants! Next: ratings – not reviews – we would question their worth. The first of these 4* reviews is from someone that wants a job with Trustpilot (only four stars?). 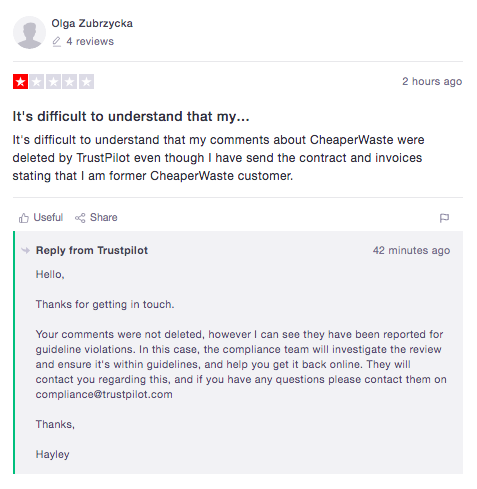 The second would appear to be for some kind of ‘technical service’, possibly another review of a Trustpilot client posted in error. Seriously? If nearly a quarter of your reviews rated your business 'poor' or 'bad' – on your own platform - would you begin to worry? 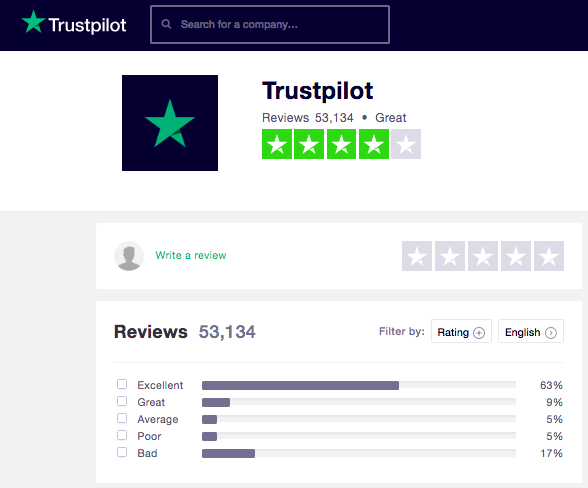 That shows that less than ten per cent of reviews rate Trustpilot at five stars. 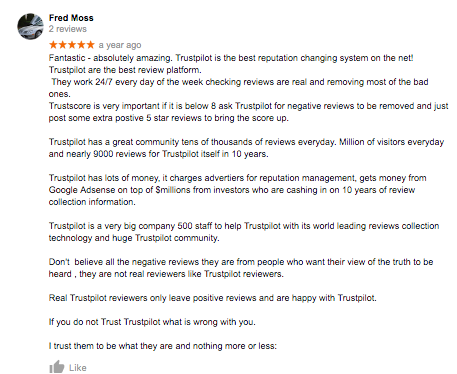 Forgive us, but they don’t look like Trustpilot employees’ reviews. They look like genuine reviews of other businesses that have been mistakenly left on Trustpilot’s listing. 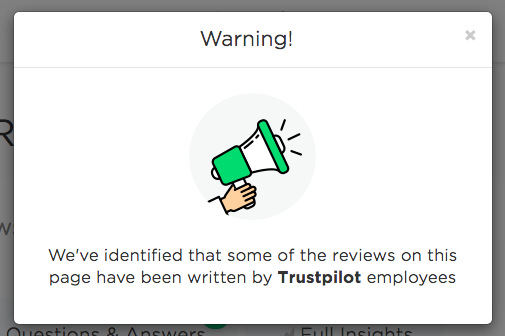 So – becoming increasingly mystified – we check for reviews of Reviews.io on Trustpilot (a very much larger site) and what do we find? 622 reviews, mostly 5*, and not one of their happy customers found their way to Google? 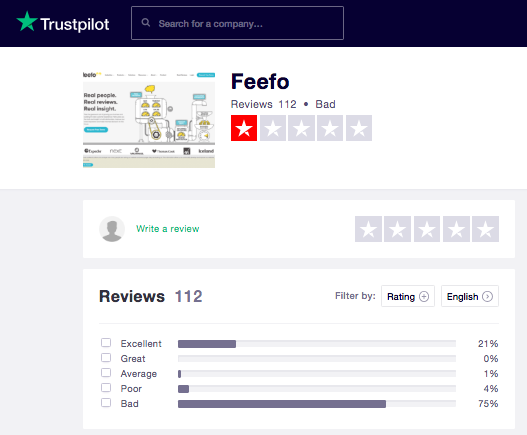 Feefo on Trustpilot? You are probably as confused as we are by now. If you think you understand what is happening here please don’t hesitate to contact us – there’s a box below. But much more important - what about consumers (and, in this instance consumers means businesses and their customers, because the business is the consumer when it buys the services of one of these reviews sites). The first question we ask ourselves – and anyone else we meet in our professional lives – is ‘Why not Google?’ Google reviews are by-far-and-away the most visible and most credible reviews on the web. They are just about the only reviews a business really needs. 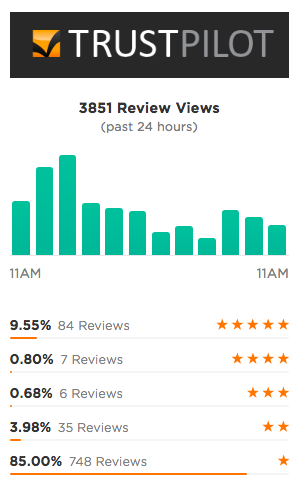 So why are businesses [still] using reviews sites? 1. Legacy: Google reviews only came to prominence after most reviews sites were established, so some businesses have stayed with the reviews solution they signed up to back in the day. They should be urgently reassessing that decision in the light of the above. 2. They were sold: the reviews sites have sales-forces, Google (in the reviews context) don’t. 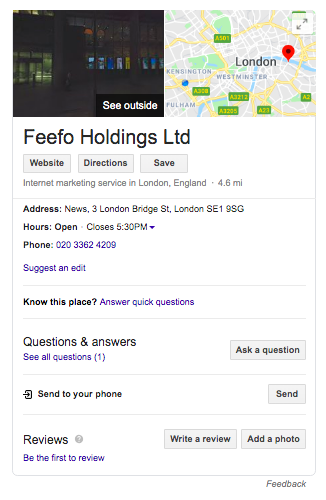 No-one is going to phone your business and sell you Google reviews. The only body with the power to resolve the confusion detailed above is the Competitions & Markets Authority - the UK government body directly responsible for reviews. Some of you will have read our recent open letter to them, if you have not, it is here. Without such intervention we would suggest - and have suggested in this article - that reviews as a whole are in danger of losing all credibility, which would be a huge loss for consumers, as genuine credible reviews are a massive force for good. Reviews sites are paid for by businesses. This does not make them intrinsically unreliable, but it is interesting to talk to businesses that have used them. Invariably they make statements such as 'they allowed us to select who to invite and when to invite them' or 'they had a brilliant system that drove negative reviews straight to page two'. In addition to these very 'broad brush' complaints we have a detailed file on each of the major reviews sites going back over the years detailing patterns of review writing and suspect individual reviews. Anyone with access to a computer can write a Google review. 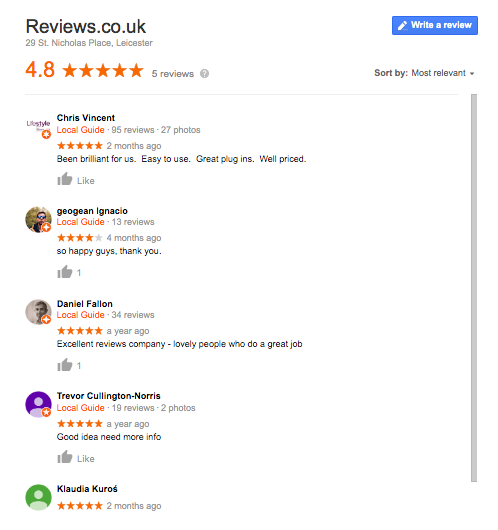 While the majority of Google reviews are undoubtedly genuine, we see evidence of businesses manipulating Google reviews every day (by cherry-picking, gating or simply asking 'friends, colleagues and family' to write reviews). This is not directly Google's fault, except that Google could, if it decided to do so, instigate procedures to identify and punish such reviews and practices. In Google's favour, they will, if presented with evidence, take action against firms that are gating (pre-qualifying reviewers). Apart from Yelp's infamous 'filter' (that would appear to filter as many genuine reviews as it does fakes or malicious reviews) and Feefo's 'invitation only' system that relies on the business sending Feefo genuine customer email addresses, we see little effort by most reviews platforms to ensure the authenticity of their reviews or their reviewers, and few sanctions on businesses caught manipulating their systems. How many hotels have been 'red flagged'; by Tripadvisor? Ten? - in ten years? We could identify ten hotels in a single London postcode that regularly write negative reviews of their competitors. And here is the full post on the CMA's website. Here are the CMA's regulations relating to reviews and our analysis of them. Here is our open letter to the CMA. Because, increasingly, consumers base significant spending and investing decisions on reviews. Not just 'knitwear', but who to invest their life savings with, who to appoint to sell their house or who to entrust their healthcare with. Important, potentially life-changing, decisions. It would easy for the government to simply say 'reviews cannot be trusted, they're banned'. But this would be to miss a wonderful opportunity to serve consumers' best interests. These are patently best served by having reviews that are genuine and therefore credible. There is an example for others to follow, and it's called HelpHound. At HelpHound we do everything short of forcing the system grind to a halt to ensure that our clients' potential customers are served genuine and credible reviews. So - if HelpHound can do it, why cannot others? That is a bit like asking 'why does Facebook allow live-streaming of mass murder?' - we don't know, we are not Facebook, but we do know what we would do if we were. So come on government, come on the CMA, but most of all: come on UK Plc. Let's start giving consumers what they want. Here is the full text of the CMA's open letter and our accompanying commentary. The full text of the CMA 'Do's and Don'ts' is here on their website. Consumers have come to rely more and more on online reviews when deciding which product or service to purchase. In 2016 the CMA itself estimated that 'over half of UK adults use consumer reviews'. The intervening three years have seen a seismic shift in the area of service reviews (reviews of businesses and professions as opposed to product reviews). Google is now unequivocally dominant in this area. 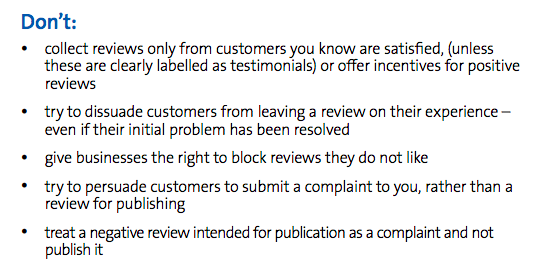 At HelpHound we are increasingly concerned that abuses in the way businesses (and some of the reviews sites) approach reviews are wilfully misleading members of the public. Let me explain. The CMA 'invented' this description in relation to reviews. As you know, it refers to the practice of selecting those customers most likely to post a positive review and then inviting them, and only them, to do so. The process of pre-qualifying customers to establish the kind of review they are likely to write. First used by app developers (anyone downloading an app would receive an invitation to rate the app, if they selected five stars the rating would be posted straight to the app store, anything less and they would be invited to 'give feedback'). Now commonly used by businesses of all kinds and in a variety of ways. Giving consumers an accurate guide as to which businesses to use. *this is a very important point. Many well run and intrinsically honest businesses have made a conscious policy decision to avoid all engagement with online reviews. They wish to be compliant with the CMA regulations but see their competitors flouting them; they see no honest - let alone compliant - way of competing, so they do nothing. This is demonstrably not in the best interests of consumers. As if all this were not enough, we are now encountering businesses that are bluntly saying 'the CMA has not acted to prevent [our competitor - or any other business] engaging in illegal practices so we have no option but to do the same ourselves'. 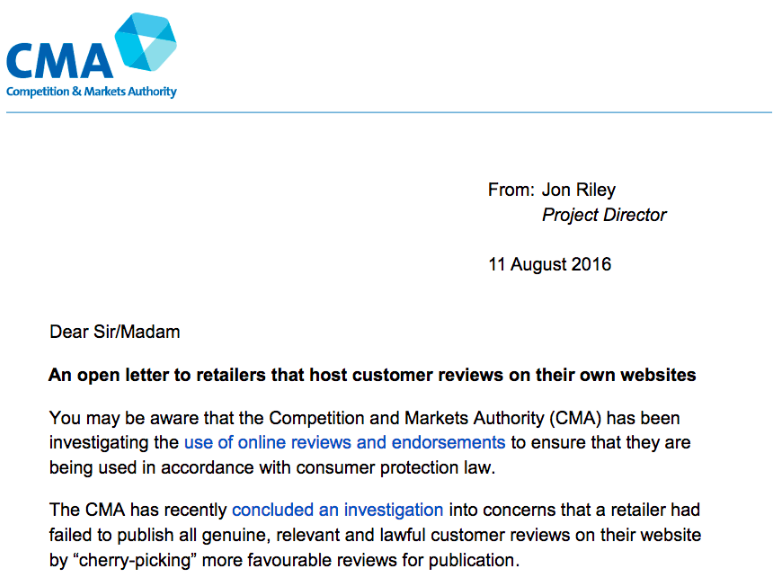 We would urge the CMA to use its powers on behalf of UK consumers to censure such businesses that are in breach of your regulations governing online reviews, so that consumer and business confidence that is fast being eroded (by the likes of this recent article in the TImes) begins to be restored. We will keep readers - and our clients - posted as and when the CMA takes any action.